Whether people are celebrating life or surviving a crisis, we care deeply about each person at Starpoint. 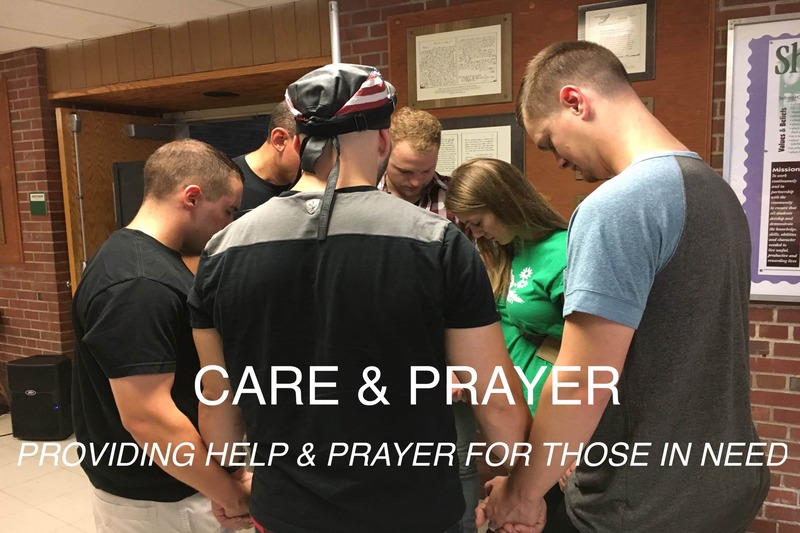 The Care & Prayer Team offers support to these people in a variety of ways. Prayer Team: At Starpoint, we desire to share God’s heart for His people. We want to rejoice when you rejoice and weep when you weep. Our prayer team comes alongside our church family as they talk to God. Do you have a heart to intercede for those who are struggling? If so, consider joining our prayer team. Volunteer Food Area: These are the people who take care of the volunteer food area for those people who are serving in other areas at church!